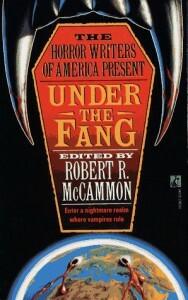 Another read from my lost youth :-) This was during my "vampire" phase in my mid to late teens. As usual with an anthology, it's a mixed bag. As I remember, most of the stories were OK; some stank. The primary draw was that all the stories depicted a world under the control of vampires in some way.